(by Anna Ahronheim, The Jerusalem Post) – Israel’s Home Front Command has a contingency plan to evacuate hundreds of thousands of residents who live on the border with Lebanon, a senior Israel Defense Forces (IDF) officer in the [Home Front] Command told The Jerusalem Post on Wednesday. Close to a million Israelis live in the North; an estimated quarter of a million could be evacuated in case a war breaks out with Hezbollah. “In the past we didn’t think of needing to evacuate whole communities, but now we understand that we will have to evacuate hundreds of thousands of people,” the senior officer said. Hezbollah’s technological abilities and battlefield experience have grown as it fights in Syria for the regime of Bashar Assad. According to him, the Home Front Command today is not the Home Front Command of five years ago, due to those changes. “We always need to ask if we are relevant and prepared,” he said, and that is why it is not only the threat posed by Hezbollah rocket barrages that concern the IDF and the Home Front Command but the very real possibility of ground attacks by the terrorist group against civilian communities. “We listen to everything that Hezbollah’s [leader] Hassan Nasrallah says, and we understand that there is a real meaning behind his threats. In the past we used to tell the civilians to go to their bomb shelters, but now we know that it is not smart to have civilians on the front lines in times of war,” he said. The communities that would be evacuated would be housed in hotels, schools or guest houses of other communities, such as those in the Jordan Valley, Jerusalem, Eilat, as well as in West Bank settlements, away from the front lines in the North, in their entirety, he said, adding that, depending on the situation, whole communities could be housed together. According to the senior officer, the Home Front Command will work hand in hand with the Northern Command, now headed by Maj.- Gen. Yoel Strick (who was the head of the Home Front Command until last week), as well as with emergency services and volunteers, to make the evacuations as organized and as possible. 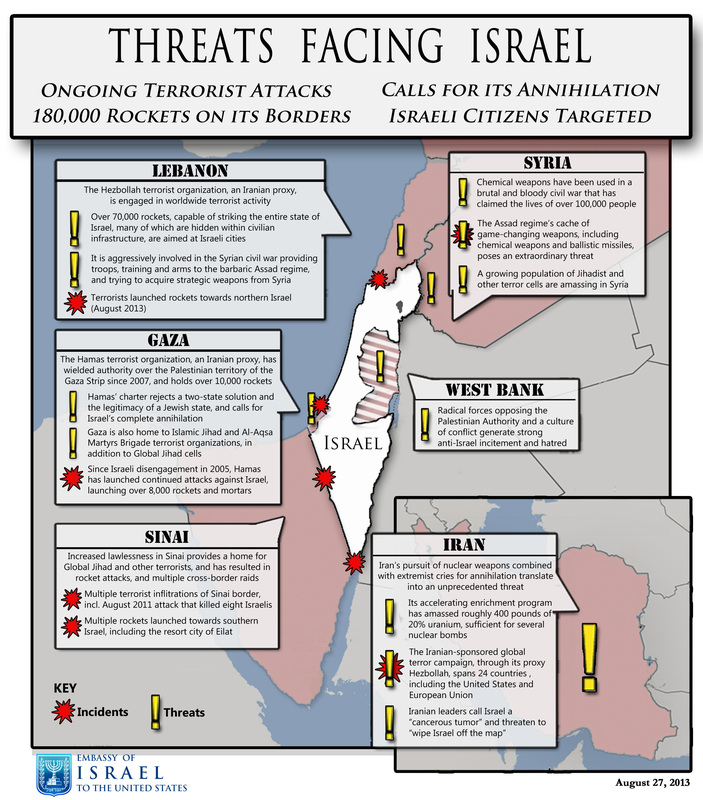 While the IDF thinks Hezbollah is unlikely to attack Israel in the near future, the Lebanon border remains the most explosive one, and both sides have warned that the next conflict would be devastating. Hezbollah is known to have rebuilt its arsenal since the Second Lebanon War in 2006, with at least 100,000 short-range rockets and several thousand more missiles that can reach central Israel, including Tel Aviv. According to some Israeli analysts, the next war with Hezbollah might see 1,500-2,000 rockets shot into Israel per day, compared to the 150-180 per day during the Second Lebanon War in 2006. Israel has made it clear that it will continue to work to prevent Hezbollah from acquiring advanced weaponry, reportedly striking weapons convoys in Syria destined for the group, including last Friday when the army made a rare admission of a strike in Syria after a surface to- air missile was fired by the Syrian regime against IDF jets. It was the most serious clash involving the IDF since the civil war broke out in Syria six years ago. Reprinted here for educational purposes only. May not be reproduced on other websites without permission from The Jerusalem Post. 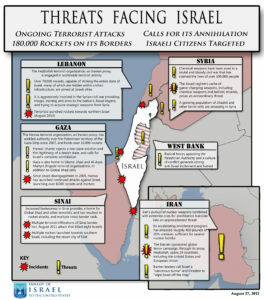 For the original article, visit jpost .com. Beginning this week we will publish one Tuesday’s World News article for this category, rather than three Tuesday’s World Events briefs. g) the land size of Israel (and compared to the U.S.
4. How many residents does the Command think would be evacuated, should war break out? 5. a) What type/amount of weaponry has Hezbollah acquired since 2006? b) How would this increase the number of rockets shot into Israel per day compared to the Second Lebanon War in 2006? 6. What has Israel been doing to prevent Hezbollah from obtaining more weapons? 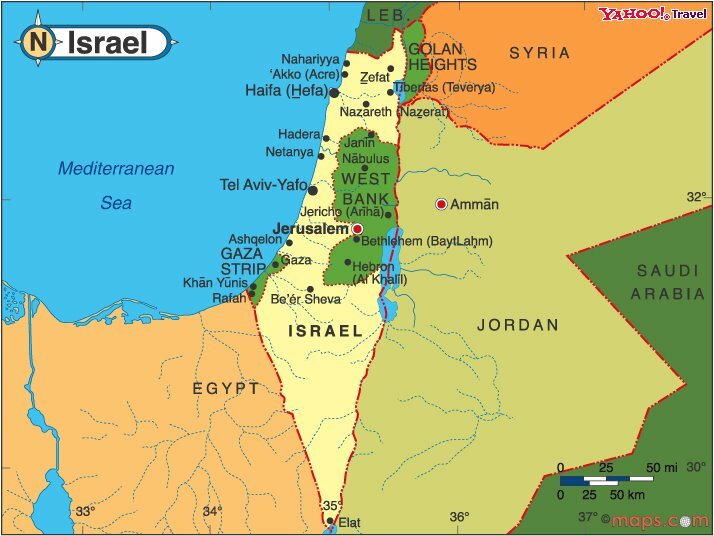 The Israeli Home Front Command is an Israel Defense Forces regional command, created in February 1992 following the Gulf War, which was the first war since the 1948 Arab-Israeli War in which centers of civilian population faced significant threat. The Home Front Command operates in various emergency situations, specializing in the field of civilian protection. 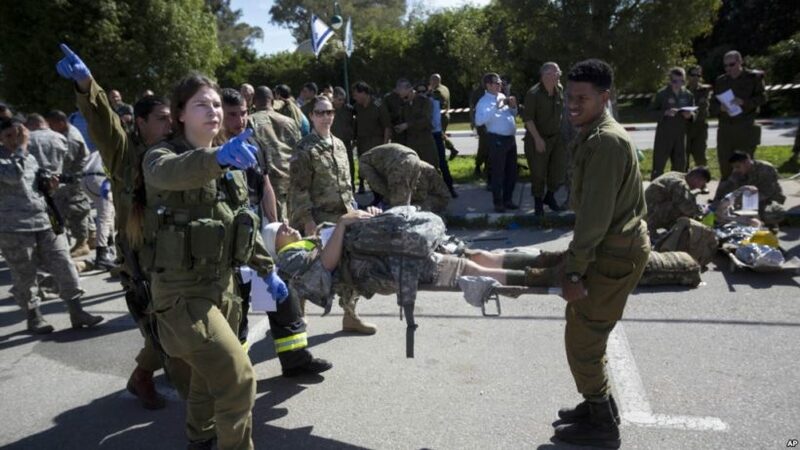 In times of crisis or war, the Command operates to its fullest capabilities, using all its resources in order to instruct the civilian population on how to cope with the threats facing Israel. The purpose of the Home Front Command is to save lives. In 2006, Hezbollah fighters raided an Israeli border post and kidnapped two soldiers. This touched off a war between Israel and Hezbollah that lasted a month until the Israeli and Lebanese governments agreed to a cease-fire under a United Nations Security Council deal, resolution 1701. Resolution 1701 calls for the “full cessation of hostilities” between Hezbollah and Israel. It sketches a plan for the phased withdrawal of Israeli forces from southern Lebanon and calls for an expanded peacekeeping force there (of 15,000 U.N. troops). For information on Hezbollah, go to cfr.org.